St. Gertrude the Great June 2016 Newsletter is now available. 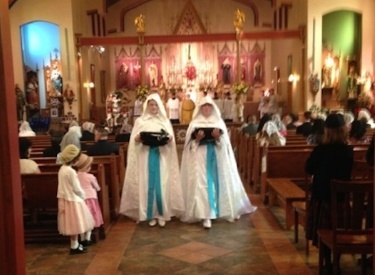 Two postulants of the Sisters of Our Lady of Reparation began their novitiate after having received their habits from Bishop Dolan at a midday ceremony. This entry was posted on Wednesday, June 22nd, 2016 at 6:50 pm	and is filed under News.